Electroplating pure indium obviously isn’t as popular as plating other metals like nickel or gold – but it has been around for decades and is relatively simply to set up if you are interested in trying it yourself. 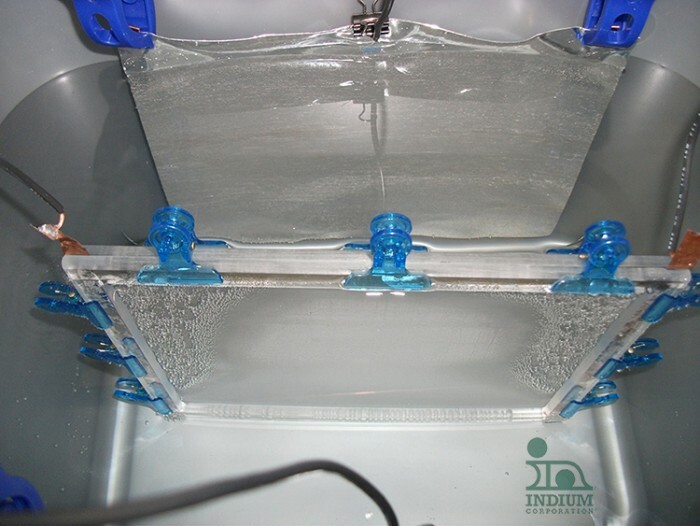 For prototyping we offer an Indium Electroplating Kit. The kit comes with 2 starter anodes, a liter of sulfamate solution, and instructions to get you started. We offer technical support to help you if you have questions about setting up your process, whether you are using a starter kit or a high volume production line. As you might have guessed, we are interested in new uses of indium - don’t hesitate to call and get some feedback on your application. It’s always good to talk to someone interested in the same thing you are working on – in this case indium plating. We also have you covered if you need custom indium plating supplies: Special-size or -shape anodes can be made for your application, with or without embedded hooks. Several different plating solutions are also available, including hydrated, anhydrous, and aqueous indium sulfate and indium trichloride. If you need an indium compound you don’t see listed here, there is a great chance we have that, be sure to ask us! PanPac is a great opportunity to learn more about new technologies!